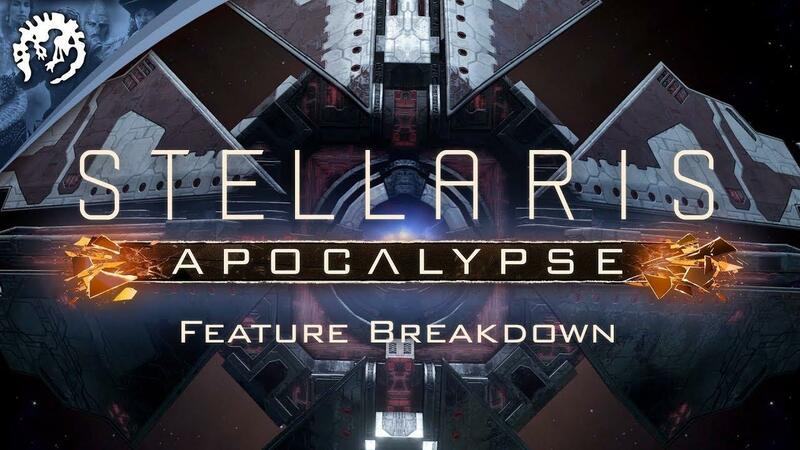 Stellaris: Apocalypse [Steam] is set to be a pretty big expansion, with lots of goodies to come for Stellaris fans. It's releasing soon, so Paradox has an overview video up. As a reminder, it will release on February 22nd. As usual for Paradox games, it will also see a big patch release full of fixes and new features free for existing owners. I honestly can't wait to start blowing up planets, time for my Empire to rule the stars. I've thought for too long the combat in Stellaris was quite lacking, so it's pleasing to see it become the focus for this expansion. […] Sadly Linux is less than a percent of the sales and keeps dwindling. SteamOS didn't turn out to be what we all hoped. The Linux community needs to grow or spend more to stay viable. It's a little disconcerting to read, but hopefully they will continue to support Linux gaming for some time. Paradox Interactive do publish a bunch of games that don't support Linux, but perhaps if they see an improvement in future more of their published games (in addition to games directly from Paradox Development Studio, like Stellaris) may see Linux support. A number of their games do cater to a niche, so perhaps their games just aren't as popular as I thought they would be with Linux gamers. I've asked if they can share any specific data about it, so hopefully we can talk about that more in future. Ps. I realise it can be confusing with the publisher and developer both starting with "Paradox", but they are different. The article text was adjusted after publishing to make it much clearer. But I don't have money for all the games that come for linux! We need less games! I do have all paradox games though and continue buy them, hopefully they don't stop supporting games quite yet, at least give us Victoria 3 so we can play from dark ages to space conquering without breaks. That's quite sad to read. I just bought a lot of paradox games from Humble Bundle. Maybe we need more publicity. But I'm already buying much more games than all of my Windows friends altogether, including Paradox games as well... Do they want me to spend, I don't know, 300$ per month on games to stay viable? I literally was telling a co-worker yesterday how much Linux gamers like Paradox since so many of their games come to Linux, and then I saw the Twitter remark. Quote Sadly Linux is less than a percent of the sales and keeps dwindling. SteamOS didn't turn out to be what we all hoped. The Linux community needs to grow or spend more to stay viable. 1/2 Million active Linux users only on Steam.. .how many active users are enough to consider Linux a viable market??? I bought every single one of their games, and will keep doing so. But we need a bigger push from Valve's end, if we ever want to break through the 1%-2% ceiling. I am also afraid that publishers might get tempted to jump ship if they don't see actual progress with SteamOS anytime soon. Right now it's going waaaaaaay too slow. Sorry, Paradox, but DRM-free or it didn't happen. I won't give Valve a cent. Alm888 Sorry, Paradox, but DRM-free or it didn't happen. I won't give Valve a cent. Paradox have their own store selling keys. Steam keys though, but Valve doesn't get a cut there. Edit: Paradox games are DRM free, see here.